It was such a pleasure to have my new security system installed by your company. Recently, my house was broken into. Our house had been wired during construction; we just did not hook up the alarms. All it took was a call to your company and you squeezed me into the busy schedule. David and Robert were the two technicians who came to my house. It was a lengthy job and they stayed to the end. Both were extremely professional and left my house in good order after they were finished. David was very patient and personable as he explained the alarm system to me, even though it was 8:00 p.m. and they had both worked a long day. It is important to impart excellent customer service, especially in a small community. Your technicians did exactly that and more. Please let them know that their expertise and work ethic was greatly appreciated. David even followed up to let me know my account number, as I had not called in to get it before his call. Thank you for making me feel safe in my own home once again. "I was out of town when, early in the morning, someone attempted to break into our home while my wife and daughter were asleep. The intruder pried a window open on the opposite side of the house and the alarm went off. It is clear to me that if we did not have the system, my wife and daughter would have been dealing with an intruder in our home. That is still a frightening prospect. Thank you again for your system, it?s reliability and your quick response. I just wanted to let you know we had a break in last night and the alarm system worked very well. Your dispatcher did a great job. The police got here quickly; we did lose some money and stuff as the fellow pried open the back door. Anyway, I am very grateful to you guys and the job you did. I am absolutely sure you saved us a great deal of money and merchandise. I wanted to let you know how much I appreciate the service and let you know how well it worked. I want to take this opportunity to express my appreciation for the professional and... ...flexible manner in which you have allowed yourself and your staff to be readily available to meet the security needs at Juvenile Hall. Although there are certain expectations which arise when contracting for service work with any business, the time and service effort you have provided over the years is to be commended. Thank you for all the assistance. On November 17th the First Presbyterian Church took permanent occupancy of our new facility at the corner of 14th and I Streets. After 4 years of planning and a year of construction, we praise God that we can once worship, enjoy fellowship and continue our education programs in the beautiful and improved facility. Additionally, this community asset is once again available for use by other organizations. The finalization of this project was due to combined efforts and teamwork of Church members, contractors and individual members of our community. Advanced Security Systems was a major contributor to the successful completion of our building. Your flexibility and that of your employees in working on the project from the very beginning and quick response to the needs of the Church, Pierson Company and their subcontractors gave us a superb building for the worship of God. Thank you so much for you and your employees support of our efforts. "... We use Advanced Security Systems at our old business for years and are now using you at our new location. We are always very satisfied." "... I want to let you know we were very impressed with Scott and Dave. They are very professional and have a great sense of humor (which always works well with me). They did a great job of getting everything done with the least amount of disruption to the office. Our monitor is in the reception area and they worked around customers and phone calls. Thanks for the help, it is great having the system back up again!" "... Jim was/is great! Thank you! A pleasure to work with such a professional team. 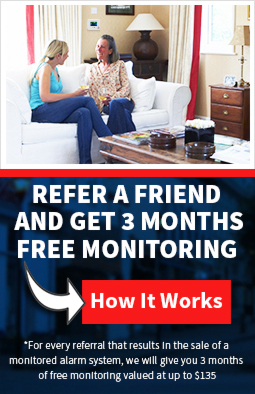 Hope the monitoring station is as easy and great as the sales and installation team." Your dispatcher Jess, was wonderful. She had a great response time when processing our alarm. Thank you Jess for your great help. Ethan is a wonderful Service Technician. I could go on and on about how wonderful he is and the great service provided by your company. Thank you so much. Dan showed one of our board members how our new system worked, but then came to a board meeting after hours to meet with all the board members, showing everyone how the system worked. We are all very thankful to have Dan in our community. This is a short note of commendation for your installers, salesman, and office staff. All of them were professional and courteous in their interactions with us. Thomas and Rian were very efficient during their installation work. Dan Toews did a nice job for us at the annual meeting of the Macklyn Cove Condo Association, in Brookings. We thought you should know when your employees are well received by your customers. His talk answered all of our questions and gave us ideas to chew on. He should be congratulated. "Many thanks for a job well done to EPD Officer John Luken and his team who at considerable risk to themselves caught and arrested the man who broke into our home while he was still in the house. Thanks as well to the people at Advanced Security Systems for alerting us and then the EPD that our alarm had gone off. Because of the combined effort of Advanced Security and the Eureka Police, this robbery was stopped before it happened. Our security system kept us from losing many of our possessions and gives us the peace of mind beyond measure when we are away. If you do not have a security system in your home, get one. The next time you pass near a EPD officer, give him/her a nod of thanks for all they do for us in Eureka.